Thereafter, he does make a formal complaint to Samsung about his burnt phone and Samsung do reply and agree to replace the phone but on the condition that he takes down the video about his burnt phone and agrees to their terms. You can read the full letter from Samsung to Richard here. So what do you think? 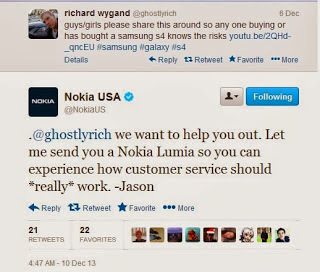 Should Richard accept Nokia's offer?